Long time fans of Gentle Giant were definitely not happy with this set. The thing is, it’s still pretty good. It’s just not the kind of prog rock their fans were used to. There are some moments that come close, but this is a lot more mainstream. While the musical style is a big change, the vocals are an even larger difference. 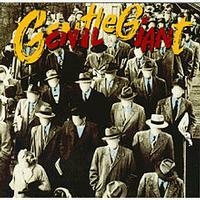 Gentle Giant’s trademark was always the lilting vocals that weren’t at all conventional. This set has a pretty mainstream vocal performance. To me, more than the difference in music, that’s what makes this not seem like Gentle Giant. Still, if you get past that stuff, it’s a good (albeit more straight rock) album. Drums lead out and electronic sounds come over the top. 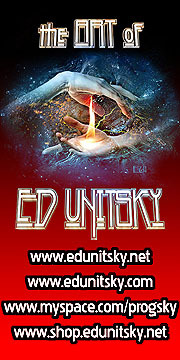 Then it explodes out into hard rocking, but proggy, jamming from there. This definitely has some fusion in the mix. It’s more straightahead than one expects from Gentle Giant, but it’s still great. I really love the little instrumental section at the end. I’d have to say that this song rocks hard enough to be consider leaning toward metal at times. This really isn’t proggy. It’s more of a killer, guitar oriented, straightahead rocker. It makes me think of some of the more rocking of Chicago’s music quite a bit. It’s good, but definitely not one expects from Gentle Giant. Now, this is progressive rock. It’s mellow at the start, leaning towards folk prog, but it gets more powered up in some sections. There are moments of this that make me think of Yes a bit, but it’s trademark Gentle Giant. It’s dynamic, pretty and quite strong. There aren’t a lot of prog leaning on this bouncy rocker, but there are some. In a lot of ways, this reminds me of some of he harder rocking stuff from Klaatu. Now, this is prog! It’s fast paced and has a lot of fusion in the mix. It also definitely calls to mind Yes quite a bit. It’s a killer song. It does have some hints of funk, though. I love this song. It’s arguably my favorite tune here. Again, I’m reminded a bit of Klaatu here. This is bouncy, high and energy and entertaining. Still, it manages a couple prog shifts here are there. At around six minutes in length, this is fairly long in the context of this album. It’s got some proggy elements. It also reminds me of Klaatu quite a bit. The closer is a bouncy pop rocker that has some definite prog in the mix. It’s another with some Klaatu influence.